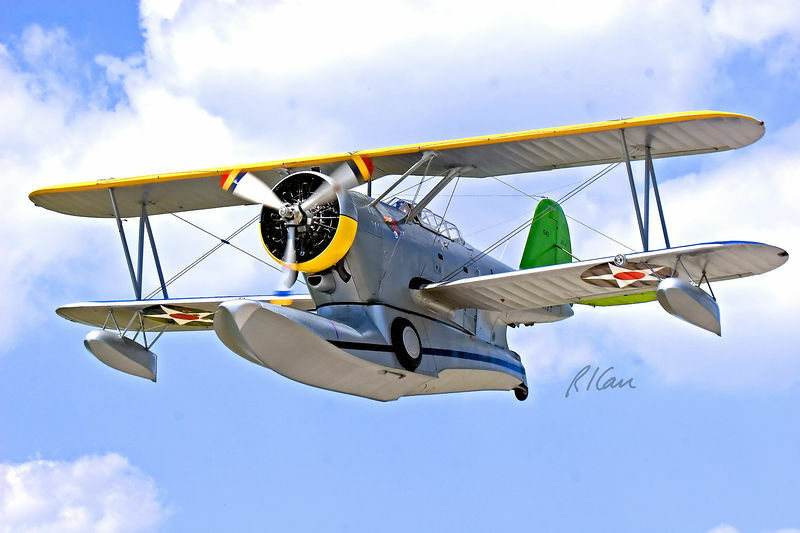 Military aircraft: Grumman J2F-4 "Duck" is a single-engine biplane with integral pontoons and wheels for takeoff and landings on water and land. Wingspan is 39 ft, maximum speed is 190 mph, range is 875 miles, and carries a crew of 2. Thunder Over Michigan, Yankee Air Force, Willow Run Airport, Ypsilanti, Michigan, August 2005.